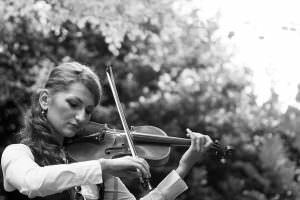 The following sections outline our terms and conditions for all music lessons, session work or concerts with Oxana Dodon (Tahmasaby). Lesson fees are due at the time of booking and can be paid by the following methods: Cheque, Cash or BACs. Please note that your booking will be cancelled if payment is not received in advance of your lesson. Reference: to avoid confusion please use your name or your child’s name. Send cheques to the following address: 129 Woodmill Lane, Bitterne Park, Southampton, SO18 2PE. Please include the above information on the reverse of the cheque. Once payment has been received your lesson date and time will be confirmed by email. Once you have finished your last lesson you will need to re-book further lessons if you want to keep your preferred lesson time and date. Subsequently, due to high demand, your place will be kept for 24 hours to allow time for re-booking. Once this time has elapsed your place will be reallocated to someone else on the waiting list or will be re-available to book. Regretfully, no concessions can be made for missed sessions or holidays but you are welcome to offer your place to a friend if you are unable to come. Please note I require at least 24 hours notice for a lesson cancellation otherwise the lesson will be charged at the full amount. Regretfully I am unable to refund lesson fees paid in advance for any missed lessons without 24 hours notice. Unfortunately it is also not possible to carry over missed sessions to future lessons. Regretfully, no concessions can be made for missed sessions or holidays. You are welcome to offer your place to a friend if you are unable to attend a lesson. To do so, please contact Oxana on 07412404140 with the name of the person taking your place as well as a contact telephone number at least 24 hours before your lesson.